by: R. Drew Smith, PhD. Though fairly visible to Americans through media sources, the Ebola crisis had not been seen or acknowledged by many of us in ways resulting in large-scale, systematic action. Perhaps this can be traced to compassion fatigue or a general sense of helplessness in the face of so many tragedies occurring around the globe. But American inattention to this crisis also stems from a long-standing isolationist emphasis within U.S. foreign policy and frequently within American culture in general, where too often we view problems beyond our borders as largely outside our realm of responsibility—unless of course those problems happen to jeopardize our political and economic interests abroad or our security here at home. With the announcement on September 30 of a confirmed case of Ebola in Texas and with the death of that patient, Oct. 8, and the announcement of the infection of a nurse involved in the treatment of that patient, the crisis has now been brought dramatically closer to home. President Obama referred to Ebola in a September 25 U.N. speech as a regional security threat, but it grows clearer with each day that Ebola’s reach is decidedly more than regional. Although the Ebola outbreak in West Africa was formally acknowledged in March of this year, it was not until late-September that significant U.S. governmental and private sector resources were deployed in response to the crisis in West Africa. This included a U.S. governmental deployment to West Africa of several thousand military personnel tasked with enhancing medical response capacities through logistical support and construction of treatment and training facilities. The Obama Administration has also committed more than $100 million via USAID and potentially $500 million more through Pentagon channels, and it has asked Congress to provide additional monies. Meanwhile, in late-September the Bill and Melinda Gates Foundation announced it is contributing $50 million to fighting the West African outbreak. All of the resources targeted at West Africa to halt the spread of the virus are to be commended. But as the numbers of persons infected with the virus grow exponentially (the Center for Disease Control projects as many as 1.4 million persons potentially infected by January) resource allocations may not be nearly enough to keep pace with economic costs of responding to the outbreak. Early-September calculations of the cost for combating the virus were in the $600 million range, which may or may not be projections anticipating the September jump in infections from 3,500 confirmed cases in early-September to almost 7,500 cases by early-October (based on World Health Organization figures). Currently, five new cases are occurring every hour in Sierra Leone according to the organization Save the Children and the number is expected to increase to 10 new cases per hour within the next three weeks. In light of the escalating levels of infection and the more than 4,000 confirmed deaths, questions have emerged from many directions about what could have or should have been done by the world community (especially through America’s global leadership) to have better contained the outbreak. In a morbid way, the seemingly unrelenting spread of the Ebola virus reinforces King’s observations about people never again living apart and about all being affected in some way by what happens to any one of us. Even if Americans felt little solidarity with West Africans in the previous months of the Ebola crisis, the confirmation of infections among the American populace might make us more willing to see this as a global crisis where isolationist instincts have to give way to a full-fledged U.S. response. Hopefully, we will indeed respond to the urgency of this crisis with what will be equally urgent levels of compassion and resource mobilization—not simply because Ebola has reached our shores, but because whoever is touched by this calamity is tied to every one of us through a common humanity. R. Drew Smith, PhD. 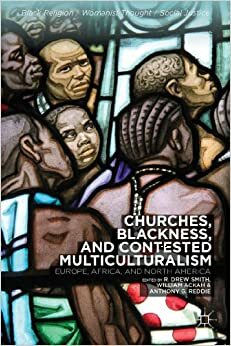 is a professor at Pittsburgh Theological Seminary and is co-convener of the Transatlantic Roundtable on Religion and Race. He first traveled to Sierra Leone and Liberia in 1984 as an Operation Crossroads Africa group leader and has remained active in faith-based community development activities in the two countries.